Posted on April 18, 2016 at 3:34 pm. Maldives consists 99% of water. 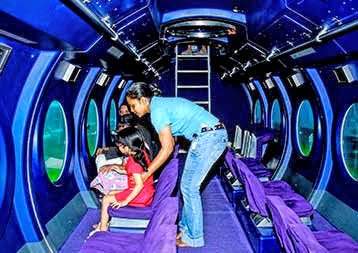 Whale Submarine Maldives gives you the opportunity to experience Maldives in a unique way. Perfect for those wanting to witness Maldives’ magical underwater, without getting wet. Whale submarine dives in every 90 minutes DAY and NIGHT, starting 9am until 8pm. If you stay in a resort/hotel that provides Whale Submarine as an in-house excursion, you can do booking through them. 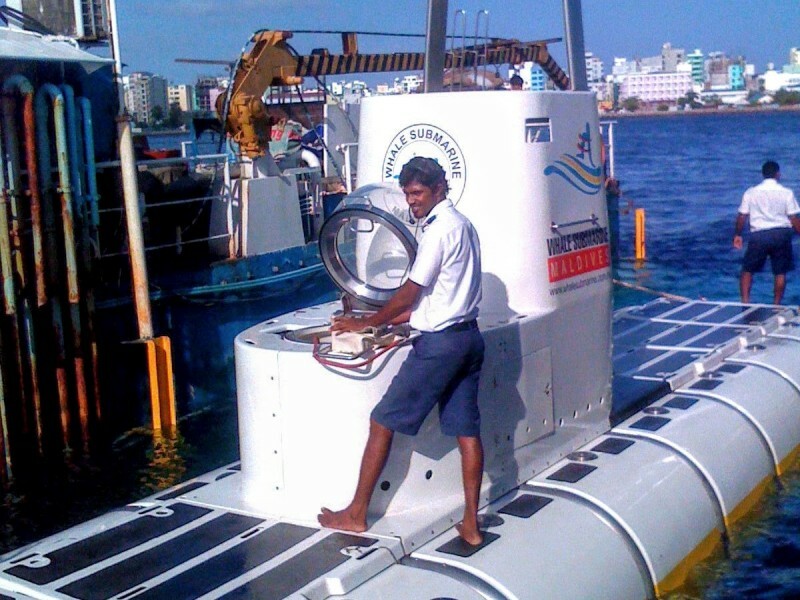 If your resort/hotel does not provide this service you can directly contact Whale Submarine Maldives and they will make arrangements to pick you up from the resort, provided that you are staying at a close by resort. Your travel agent or tour guide may also arrange this for you. If you are staying at a far away resort join Whale Submarine dive when you arrive at the airport, for your departure. If your flight is at 12pm you can join Whale Submarine’s 9am dive, and if you are leaving late in the evening, Whale Submarine have the evening dive for you. If your flight is early in the morning or if you feel that you would not have enough time at the airport to join the dive, ask your tour operator or travel agent to arrange your transfer to Malé the day before. This will give you the ample time to do some sightseeing in Malé and do some shopping in addition to the dive in the submarine. This would give you the opportunity to explore the capital city, Malé above and below water to be able to appreciate fully what Maldives is. When you make booking through the resort/hotel you will be transferred directly to the submarines floating dry-dock called ‘Whale House’. If you are a departure passenger you may check-in to Whale Submarine’s airport counter located at the arrival hall. Here you may leave your luggage with Whale Submarine’s staff and board Whale Submarine’s transfer vessel to the dive site. The ride out to the dive site will take approximately 20 minutes. 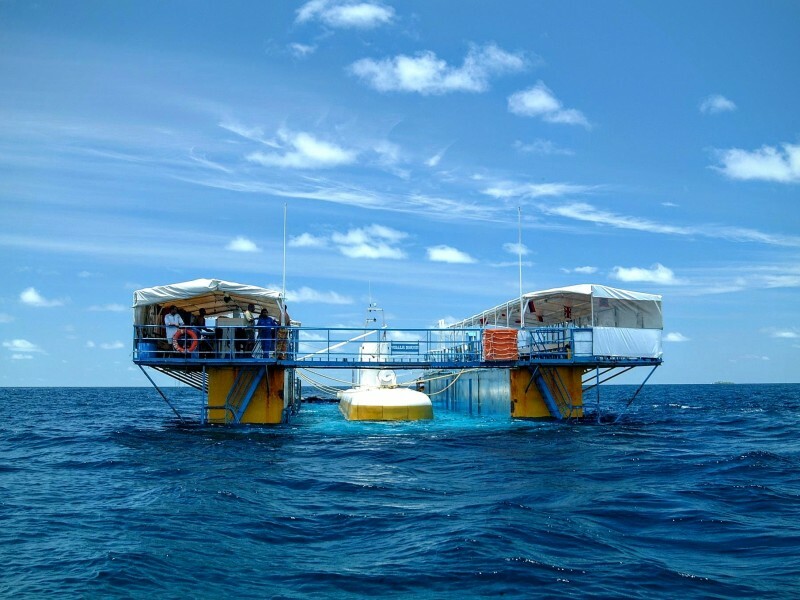 The transfer vessel transfers you to Whale Submarine’s ‘Whale House’ on the dive site. A special area in the ‘Whale House’ is designated for passengers and here you will be served refreshments and wet tissues. Ticketing. While you relax on the ‘Whale House’, Whale Submarine’s ticketing staff will issue the tickets. Payments have to be made direct to the counter here and all major credit cards are accepted. Once the tickets are issued you will board the submarine. There is no restroom on the submarine and therefore you are requested to use the restroom on the’ Whale House’ before boarding the submarine. 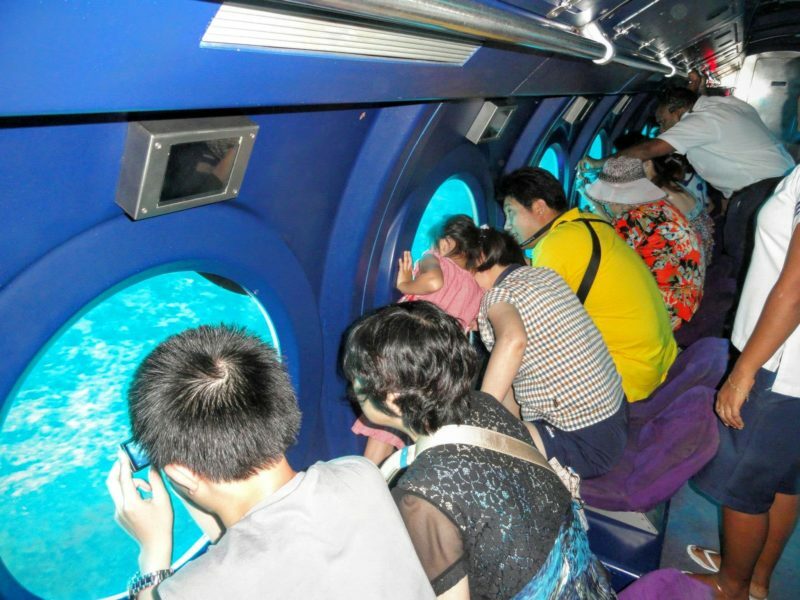 While you relax on the ‘Whale House’, Whale Submarine’s ticketing staff will issue the tickets. Payments have to be made direct to the counter here and all major credit cards are accepted. Once the tickets are issued you will board the submarine. Please note, there is NO restroom on the submarine and therefore you are requested to use the restroom on the’ Whale House’ before boarding the submarine. 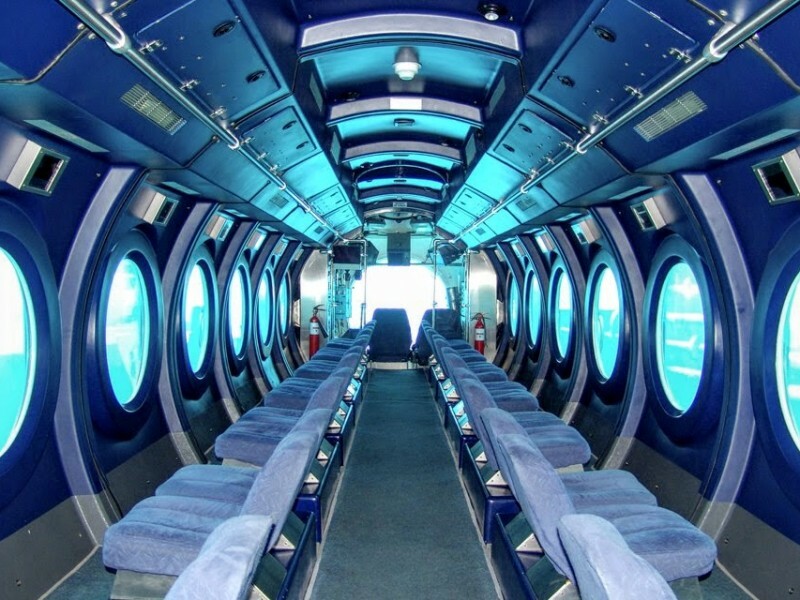 On board the submarine you will descend to a submerged reef 40 meters beneath the surface. However the first stop is at 25 meters where you will see a colorful display of corals and different types of reef fish. In most of the dives the submarine is greeted by a school of blue or yellow-striped Snappers. Common Lion fish, Yellow Box Fish and turtles are usually found here. Next stop at 40 meters is yet another type of coral garden and depending on current the submarine will be beached on a sandy spot just close to a big cave. The exterior lights of the submarine will enable you to see the different types of fish taking shelter inside the cave. Occasionally White Tip Reef Sharks and Napoleons are sighted here. If you are lucky you may be able to see one of the biggest Groupers in the Maldives here on this location. This 2 meter long Giant Grouper frequents this area and is totally devoid of fear for the submarine. In many dives she has come close to the view-ports and showed the passengers its gaping mouth with unevenly arranged razor sharp teeth. Depending on time of the day, current and many other factors the submarine may dive on some historical sites such as a shipwreck or a more exciting place like a shark feeding area or just another beautiful reef. Before the dive begins the crew inside the submarine would give you a briefing on that particular dive site. If you are joining a night dive watch closely for the sleeping manta rays as the Whale Submarine’s powerful exterior lights lit the whole area. Make sure you take your camera with you and never miss any surprise encounter with a shark or maybe a giant grouper or the protected Napoleon’s now feared for extinction. After a breath-taking 45 minutes dive the submarine will ascent to the surface. 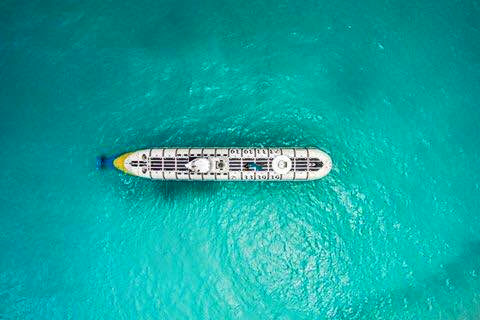 The transfer vessel will be there to pick you up immediately after the dive and you will be dropped to Malé, the Airport or back to your resort. The whole tour will take approximately less than 3 hours. Few features of the Whale Submarine. Whale Submarine is designed and constructed in Karlsruhe, Germany under the strict regulations of the American Bureau of Shipping and Bureau Veritas and is capable of carrying 50 passengers to a dive depth of 150 meters. 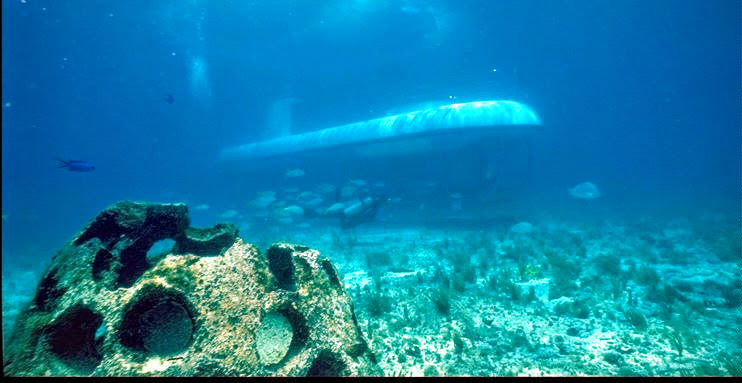 Whale submarine is currently the world’s deep diving largest tourist submarine in existence. 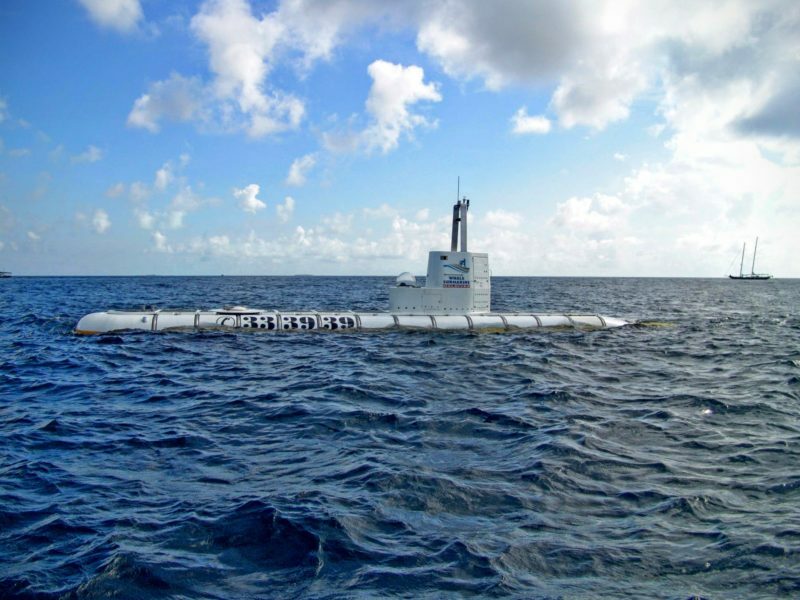 So far this submarine has performed more than 5000 dives safely. The cabin of the submarine is fully air-conditioned and has a normal atmospheric pressure and thus you breath normal air. Therefore you are safe to fly just after a dive. Whale Submarine has redundant safety features to ensure the safest, most comfortable ride, and is operated by a fully trained and certified team of French and local pilots. Whale Submarine carries enough oxygen, water and food supplies to support all passengers and crew for 100 hours. Can I please have information for Whale Submarine ticket prices? Their flight arrives at 1420 on 2nd Feb.
What will be the suitable time for the Submarine tour for them? Do you operate on Mondays? 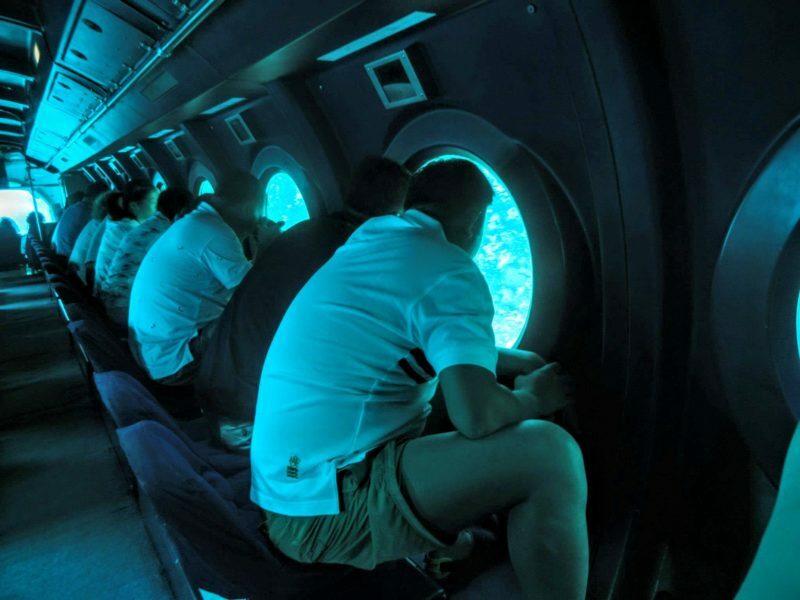 Is it advised to take the submarine dive before or after a long-haul international flight? We aren’t sure if the pressure is a problem. We’d like to go on the same day as our flight.